A young computer whiz kid accidentally connects into a top secret super-computer which has complete control over the U.S. nuclear arsenal. It challenges him to a game between America and Russia, and he innocently starts the countdown to World War 3. Can he convince the computer he wanted to play a game and not the real thing ? 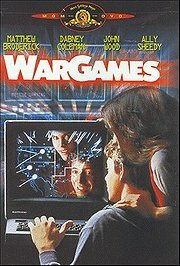 War Games was a 1983 film that was way ahead of its time. In fact recent articles have even documented how the film predicted the types of cyber warfare that now threaten global security. You have to remember that this film was made 6 years before Tim Berners Lee first developed the world wide web and the idea of a global internet was still science fiction material to many.